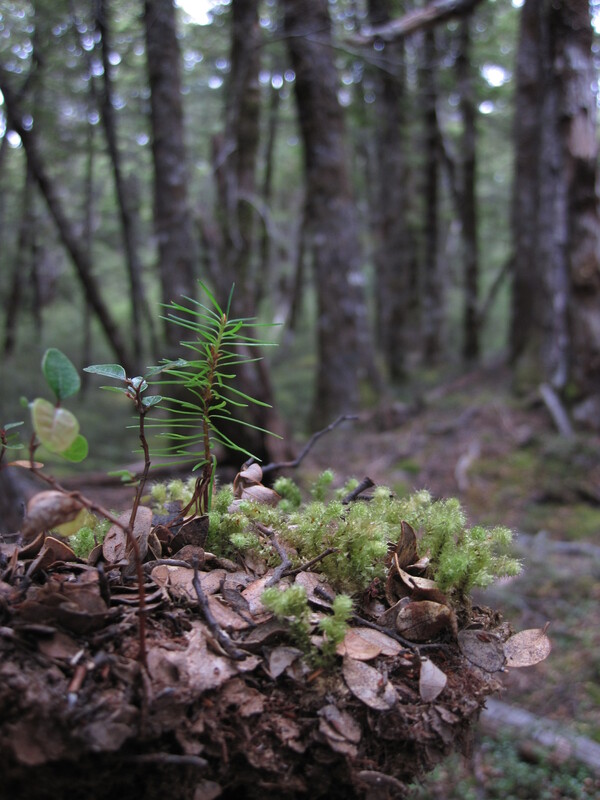 A Douglas-fir (Pseudotsuga menziesii) seedling pops through the mossy groundcover in a native southern beech (Nothofagus solandri) forest. Unlike other invasive pines, Douglas-fir is shade tolerant, which makes it an especial threat to New Zealand’s forests. That’s the term some of my scientist colleagues are using for the current ecological epoch, during which humans have moved different species all around the planet. We can’t help it. We move some of these species deliberately — because they’re key crops, because they make good companions, or because they remind us of home. We move some accidentally, when they tag along on airplanes or boats. Unfortunately, our global exchange program has had some nasty side effects. Introduced species can become invasive, in some cases taking over landscapes and displacing native species. Certain places, like island ecosystems whose delicate balance has evolved in isolation for millennia, are especially vulnerable. New Zealand is one such place. Today, numerous North American tree species, originally brought to the country by foresters seeking the ideal species for their timber industry, are invading across both North and South islands. Douglas-fir (Pseudotsuga menziesii), the giant of the Pacific Northwest, is one such tree. In a new study published this month in the journal Ecology, my Ph.D. advisor and I worked with collaborators in New Zealand to understand the belowground community at the Douglas-fir invasion front. We were particularly interested in a group of fungi called ectomycorrhizae: These mushroom-formers travel through the soil collecting nutrients and water, which they then deliver to their host trees in exchange for sugars (carbon that the tree fixes through photosynthesis). Without these mutualistic fungi, Douglas-fir (and other invasive pines) can’t grow and expand their range. So identifying the types of fungi that are available is one way to figure out why Douglas-fir is becoming invasive. We show that Douglas-fir’s complement of fungi is context-dependent: That is, where you are matters. In Douglas-fir plantations, invading seedlings can find lots of familiar faces, fungi that were brought to New Zealand (either deliberately or accidentally) from Douglas-fir’s home range in North America and therefore make ideal partners. Outside plantations, community composition is more variable — and might explain why Douglas-fir can invade in some places, and not others. Troublingly, however, the Douglas-fir invasion into native forests doesn’t seem to be fungus-limited, possibly because Douglas-fir, apparently uniquely among invasive trees around the world, can form associations with native New Zealand fungi. Read more at the journal’s website. Except where otherwise noted, text and images copyright Holly V. Moeller, 2016.